University of California Press, 9780520221697, 322pp. On September 11, 1973, a military coup in Chile overthrew the socialist government of Salvador Allende, beginning an era of political repression that lasted over sixteen years. Mary Helen Spooner takes us behind the Pinochet regime's wall of censorship, silence, and propaganda and provides an inside look at a brutal dictatorship. She traces the personal histories of key political figures, explains why many Chileans supported the regime, and reveals the fate of many of its victims. The 1998 arrest of Augusto Pinochet and resulting events serve as a reminder of his harrowing legacy. 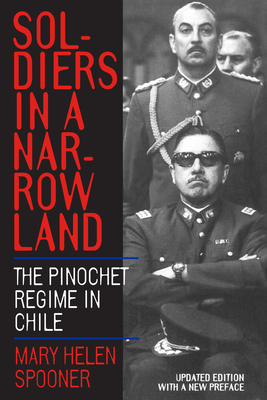 In a new preface (Paper edition) Spooner looks at how Chile has changed in the 1990s and places recent events in a larger historical context. Mary Helen Spooner is a journalist who has worked in Latin America since 1977, including nine years as a foreign correspondent in Chile. She has reported for ABC News, The Economist, The Financial Times of London, and Newsweek.